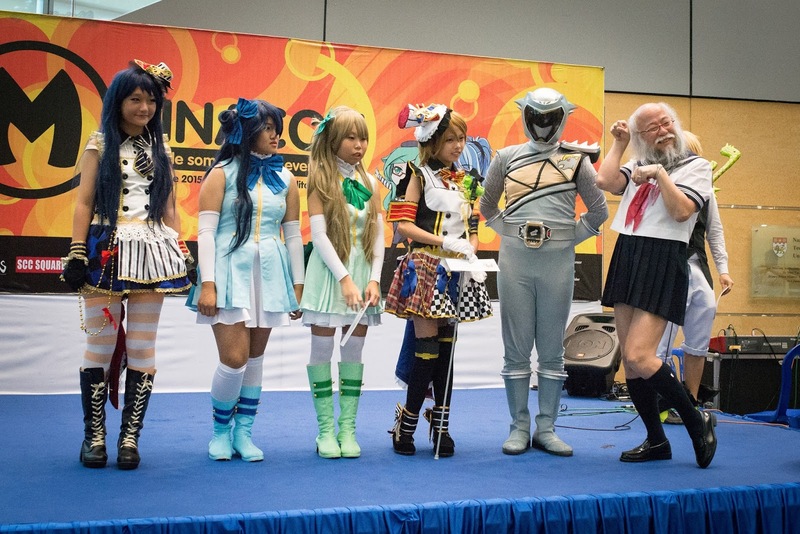 Sailor Grandpa with cosplay contestants on stage. 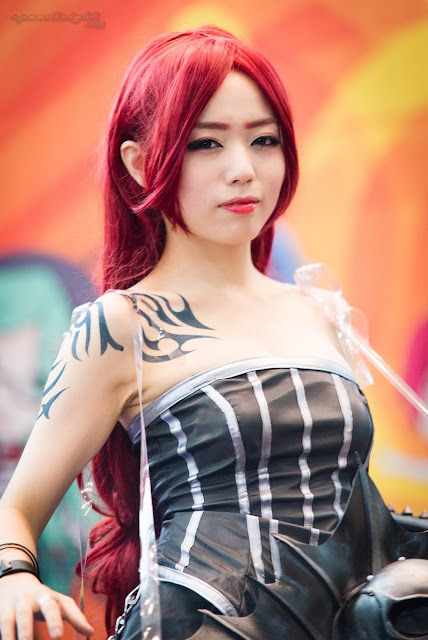 Minnacon return for its 2015 Edition last saturday, 6 June 2015. 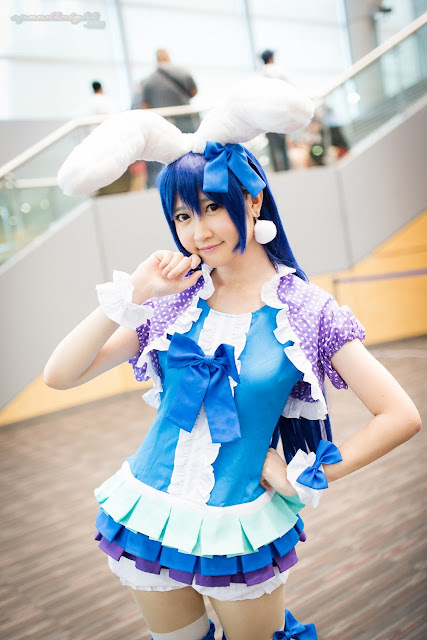 Jointly by the NTU VAS and NUS CAS, supported by Singapore Cosplay Club, the event attracted Japanese popculture events enthusiast to NTU Nanyang Auditorium. 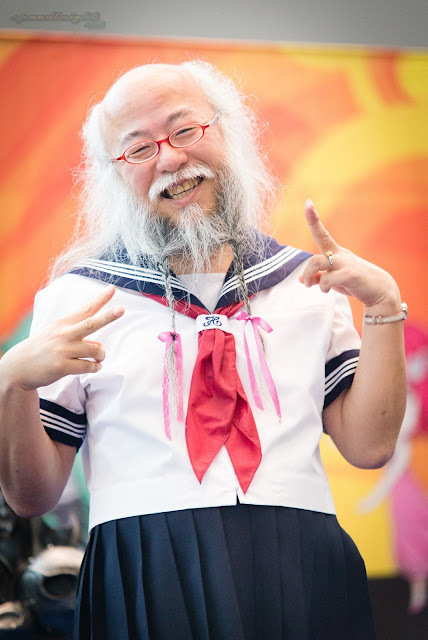 Sailor Grandpa was invited all the way from japan to be a Guest judge,along with Esther Koh,Christy Bell. 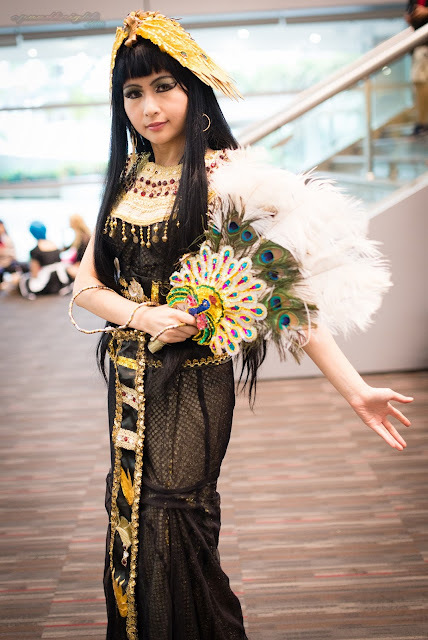 Eki Holic suprised everyone has she appeared at the event.